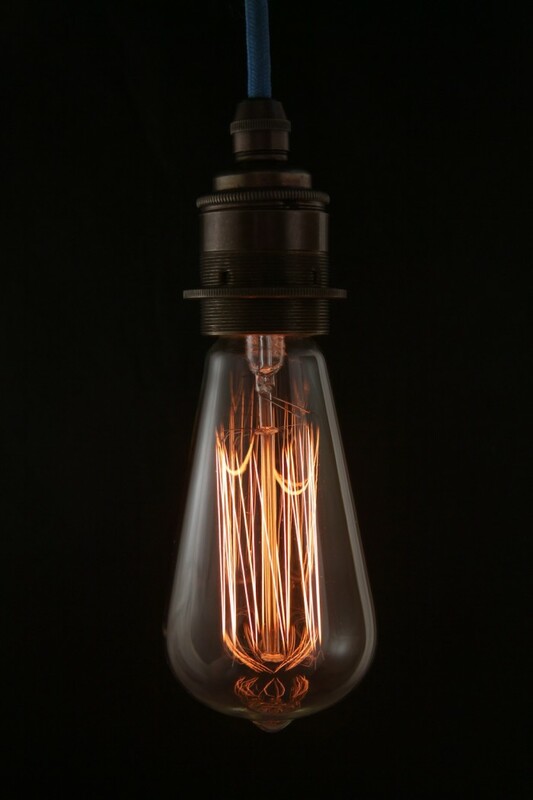 Empirical Style » Empirical Syle » Light Bulbs » (b) Thomas Edison light bulb. Tear drop long. Screw-fitting. Pk6. (b) Thomas Edison light bulb. Tear drop long. Screw-fitting. Pk6. When thomas edison created the first incandescent lamp in 1879 the world changed! It was headed for brighter days for all! 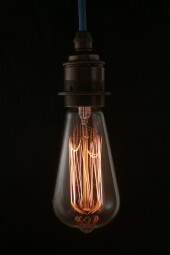 This vintage electric light bulb casts a uniquely beautiful light on all its surrounds and is ideal for mood lighting. The bulb can be dimmed and turned right down to an orange glow. 6 x long style bulb with screw fitting. These bulbs are made in denmark and are approved by the national environment agency. They are 240 volt and 40 watts. E 27 screw in base. Length 150 mms - extra long.